With the crystallization of modern ideas in society the thought that there has to be a shift from traditional ways grew among Muslims as among other sections of society. Renaissance movements rose in the Muslim community as well as in others. One of the main leaders of this renaissance movement was Sayed Sanaulla Makti Thangal (1847-1912). 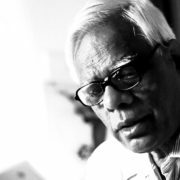 He was a learned scholar, who knew Malayalam, Arabic, English, Urdu and Persian. Although he had a job under the British government, he resigned from it as his work of religious renaissance developed. He struggled against superstition and evil rites as well as called upon Muslims to reform themselves, including through modern education. He built educational institutions and published books and pamphlets in Arabic, Malayalam and in Arabic-Malayalam. He did not succumb to the criticism of the conservatives. Chalilakath Kunahmed Haji (1866-1919) was a teacher who liberated Islamic religious studies and Islamic education from the traditional format – pushing for more openness in the Darul Uloom to strengthen religious education. He insisted on the importance of girls’ education. Sheikh Mohammed Hamadani Thangal (d. 1922) established schools in remote areas where girls were also welcomed, established adult education centres and formed welfare associations to assist the community. Vakkom Mohammed Abdul Khader Moulavi (1873-1932) played a central role in the Islamic renaissance through the United Muslim Group (Aikya Muslim Sangham), to raise the consciousness of the Muslim community. He ran important journals such as al- Islam (1918) and Deepika (1931) that concentrated on social and political matters. Swadeshabhimani Ramakrishna Pillai published his work in a newspaper owned by Vakkom Moulavi. Kattilasseri Muhammed Musaliar (1879-1943), a veteran of the Malabar Rebellion, organised tenants in Eranad and Valluvanad. A number of important individuals worked hard to bring modern educational practices into the Muslim community – such as Koyakkunju Sahib, a teacher to members of the Arakkal royal family. C.I. Ahmed Moulavi translated the Quran into Malayalam against objections that it should not even be translated Muhammed Abdurrahman inspired Ahmed Moulavi to do the translation. Following Ahmed Moulavi was Chekannur Maulvi (1936-1993), who provided new and fresh interpretations of the Quran. In Kerala, the main Muslim community draws from the Sunni tradition. Sunnis in Kerala are of the view that it is acceptable for Muslims to live under a secular government that allows for their observations of religious beliefs and rites. The mujahid movement, which developed in Kerala, attempted to modernise Islamic practice, including allowing women into mosques. But these movements are not alone. There is the Jamaat-e-Islami, an organization which does not see religion and the state as separate and which desires to establish an Islamic state against secularism. The communal agenda of the Jamaat-e-Islami puts forward an agenda for an Islamic State that resembles the RSS view of a Hindu State. What this agenda suggests is to isolate Muslims from the rest of Kerala’s society. The US attempt to create hegemony in the Gulf and the in the Arab world in general puts pressure on these workers and their remittances. After regime change operations in Iraq and Afghanistan, the US attempts to cause disruption in Iran and Syria. Terrorists are encouraged to disrupt Syria, which is one of the few secular states in the region. Muslims in India have protested the interventions of the United States. It is a serious matter that countries such as India are unwilling to resist the imperialism of the US. The USSR was a close ally of many nations in the Arab world. When the USSR was in place, the US could not intervene as they are now doing. The USSR prevented it. Only with the collapse of the USSR has the US been able to exert its war machine into the region. The Sangh Parivar attempts to implement the Hindutva agenda in India. The destruction of the Babri Masjid (1992) in Ayodhya cut at secularism and democracy at its roots. The Congress, which claims to be a secular party, could not prevent the Sangh Parivar’s ascent. The State – under Congress rule – was not willing to give the lead against communal attacks, despite the entreaties by the Left and other secular parties. This created an atmosphere that drew a small section of minorities towards terrorism. Terrorism is not a phenomenon that emanates from any particular religion. The explosions carried out under the leadership of the Sangh Parivar in places like Malegaon, Goa and Mecca Masjid, points the finger to this reality. It should be possible to discern that it is important in the present national context to strengthen the political force that is an alternative to the Congress and the BJP. The Congress and the BJP represent US partisanship in matters including foreign policy and the economic policy they put forward. Muslims in Kerala have been able to be far ahead of their people in any other part of India. The total number of all minorities in Kerala is almost half of the population. Religious discrimination or suppression is not felt here as in other States. A sizeable section of Muslim community has become rich. The leadership of the community is with them. In the name of minority rights what is protected is the interest of the elite of the community. They utilise the support of the community to intervene in power politics. The community’s elite has no qualms in allying even with BJP to share power. The approach adopted by the Muslim League, which claims that it stands for the rights of Muslims, is to highlight the interests of such richer sections. The RSS tries to propagate a communal agenda, pointing its finger to this richer section and the Muslim League, which protect their interests. In that way, they try to foment feelings against Muslim masses. Political policies of the Right are intended to lead to communal polarization. They are prepared to ally with casteist and religious forces to confront the Communist movement. Such forces started to grow under the shade of the Right. Beypore-Vadakara alliances in earlier elections proved that it is possible for them to ally even with the BJP. The tie-up, which UDF had in the last Lok Sabha elections with NDF belongs to this pattern. When the Left rules there are no communal clashes in our State. That is not the position when UDF rules. This is the result of using religion for political ends. A change is necessary in this. In the history of Muslims in Malabar one cannot perceive the agenda of establishing political power. The path they have generally adopted is to live with all sections of people. Communal forces working among Muslims are going ahead with the political agenda of smashing it. This will isolate Muslims from the general stream and prepare the ground for majority communal forces to grow. It can be seen that all communal forces are targeting the working class movements. What majority-minority communalisms are doing is to destruct the interests of basic sections of people. The agenda of the communal forces is to pit people against each other. This has to be resisted. A common space has to be built. To strengthen public education is central in this context. Institutions where children are believers and non-believers can mix together will function as a strong foundation for secularism. Casteist-religious forces run unaided educational institutions, where children study only with their communal sections. This becomes a hindrance for the development of a secular consciousness. A society where secularism and democracy must flourish requires the development of a perspective that is congenial to modern times. There must be space for a community to be critical of itself, to speak out against leading members who take retrograde positions. Such harmful positions – such as on the matter of age of consent for marriage – will only hurt society. It is necessary to expand the style of life for members of various religious communities, to bring them together into public celebrations of festivals and family gatherings (those of marriage and those of death). Religious believers must take the initiative to isolate those who propagate communalism and extremism in every religion. The model put forward by freedom fighters including Gandhiji and Maulana Abulkalam Azad must be propagated. Progressive minded people must be able to intervene to strengthen the advance of renaissance within religion. A secular society is most important as far as minorities are concerned, but it is in fact important for the entire society.Instead of strengthening such a society, communal extremist organizations are trying to get the Muslim masses to move away from the mainstream. We must resist their agenda. The Muslim League compromises with such forces. Their intervention to protect the interests of the rich in the Muslim community is against the interests of the majority of the Muslims, most of whom struggle to make a better life. Whichever be the religion one believes in, issues of life are common. Only when they are nourished can unity of common issues be understood. It is such a united stand in terms of social life and political life that is essential for a secular society. The CPI (M) is committed to the organization of life such that it creates the least friction on communal lines. Communists work to advance social life on the basis of class unity, while intervening to solve problems of social backwardness. The party follows the way put forth by EMS on these issues. The party is committed to bestow special attention to the issues of suffering sections of the people. In Kerala, SC-ST, women, minorities, OBCs and economically backward sections of forward communities – all these confront issues.3 It must be possible to view each oppression with special emphasis. The party has always taken care to handle issues of Muslim sections with care on that basis. It was the Communist movement which continuously intervened taking up the difficulties of the minority section of people. It was the government of 1957 which for the first time in India introduced reservation for Muslims. Muslim tenants got ownership of land as a result of land reforms. Pinarayi Vijayan is the Chief Minister of Kerala. He also served in the government of Kerala as Minister of Electric Power and Co-operatives from 1996 to 1998.A member of the Politburo of the Communist Party of India (Marxist), he was the longest-serving secretary of the Kerala State Committee of the CPI(M) from 1998 to 2015. 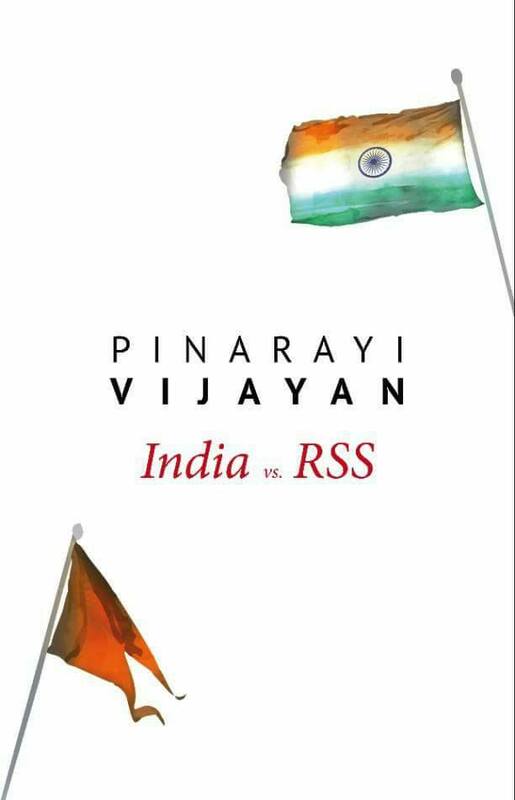 This excerpt from the book 'India vs RSS' published by LeftWord Books, 2018 and has been published here with permission from the publishers.